MBS (est. 1996) supply British manufactured units designed especially for domestic use and containing the Philips range of narrowband UVB lamps (TL01 and PL01 at 311nm). The world’s leading tube designed specifically for treating psoriasis, vitiligo, eczema and scleroderma – supported by over 400 independent clinical studies. Also extremely beneficial for vitamin D deficiency, acne, atopic dermatitis, alopecia, lichen planca, pityriasis rosea and a few other similar skin conditions that react positively to UVB light. 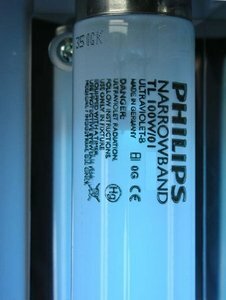 All our products use the market leading Philips TL01 and Philips PL01 narrowband tube technology. Here at MBS, we are dedicated to helping our customers achieve normal healthy skin through the use of Philips UVB narrowband light treatment. The same treatment used in hospitals and clinics worldwide is now available in the comfort of your own home – using the Philips TL01 and PL01 narrowband tube technology. It’s a concentrated form of UVB with proven results (98.8% success rate). People try various psoriasis treatments including creams, oral drugs, injections, coal tar soaps with varying degrees of success. However, there is no cure for psoriasis or vitiligo and Philips UVB Narrowband Light therapy treatment is not a cure but it can diminish and reduce your condition and in the vast majority of cases clear up your skin for a period of time. Most people see a significant improvement after using for 4 to 8 weeks, (according to a BMJ medical report – 95% of patients seeing either excellent, very good or good results – the other 5% were classed as fair, with nobody dissatisfied*). Philips TL01 UVB Narrowband tubes, are very successful at treating your condition, putting you in control and helping you to lead a normal life. Please feel free to browse our information pages before making a decision – it is important you make the right choice and that you fully understand how this type of light phototherapy treatment can help your skin condition. ALL of our light therapy units contain the market leading Philips TL01 or PL01 tubes as recommended by doctors, dermatologists, clinics and hospitals worldwide. 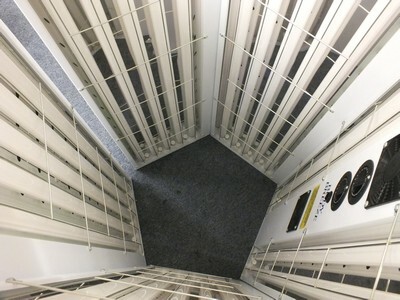 No matter how mild or severe your condition is we have a UVB phototherapy light unit suitable for your home treatment – cabinets, canopies, mini and hand held units, each UVB lamp being designed for differing degrees of severity, intensity and body coverage. We are able to offer our narrowband units VAT free (VAT free prices shown) to customers suffering from chronic medical conditions (the definition of “chronic” is that the condition is constant or recurs frequently e.g. most psoriasis/ vitiligo sufferers and in some cases eczema, sclerderma and atopic dermatitis etc.). Prices range from £162.50 to £4825. We are so confident it will work for you, we offer a money back guarantee to all customers who do not see any improvement in their condition (cabinets and canopies – see our terms and conditions – section 12). If you require any further information then please do not hesitate to get in contact with us and we shall be more than happy to answer any questions. Office hours are 9am to 5pm Monday to Friday (excludes Bank Holidays). The office is closed on Saturdays but we will still answer your call up to 1pm. Outside these hours you can leave a message and we will get back to you the next working day. We accept credit and debit cards via the internet or by phone. Here you can pay the full amount or just a deposit (see below). If you prefer on our larger, more expensive units (canopies and cabinets) you can just pay a deposit and pay the balance on delivery. Alternatively, why not consider our 0% finance package – just pay a deposit and the rest over 12 months. 0% Finance is available (subject to terms and conditions and credit checks). See Finance Options page for more details. Our finance facilities are registered with and regulated by FCA and OFT. We offer free delivery and installation to 98% of the UK (see Terms and Conditions Section 13 for exceptions). 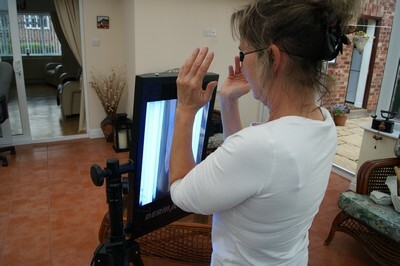 All our canopies and cabinets are setup and installed (usually within 10 working days) in your home by our own team. Mini units, hand held units, and tube only orders are dispatched by courier (usually within 48 hrs). All our units are manufactured in the UK (except hand held unit) to extremely high standards using quality components and the market leading Philips TL01 UVB Narrowband Tube technology. We are happy for you to visit our office or manufacturing by appointment. Buy with confidence – our procedures have been Certified by Worldpay as Compliant with the Payment Card Industry Data Security Standard. MBS are registered with the D.P.R (Data Protection) and as such your personal details will always be safe. MBS are registered with the FCA and are authorised to offer credit facilities to be used in the purchase of our own products at 0% interest. Please have a look through our website. Call 0800 612 0954 (Freephone) or 01925 694280 please don’t hesitate to call if you need any further details at this stage. We’re happy to help, whether you want to discuss your narrowband treatment, purchase a unit or to learn more about our finance scheme. 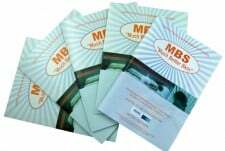 Get your free 60 page Information booklet call us now 01925 694280. Warning be careful – you should not use any other tube to treat psoriasis or treat vitiligo, there are companies selling cheaper units that do not contain the Philips TL01 tubes and are therefore not only less effective at treating your condition but also they are more dangerous as they emit light at non-therapeutic and more harmful wavelengths. Always ask what tubes are in the unit before purchasing. Make sure your UVB lamp for psoriasis and vitiligo contains Philips TL01 or PL01 narrowband tube technology and nothing else. If you have been deceived and bought a unit from a third party that led you to believe their units contained Philips TL01 tubes and they delivered a unit with different tubes then please report them to Trading Standards. * Statements/ photographs illustrate what can be achieved but you must remember that they can vary from person to person, the results you obtain may be better or worse.